This range of telehealth devices includes systems which monitor your health. For example with the appropriate equipment a system can monitor blood pressure, blood glucose or oxygen saturation. These monitoring telehealth devices allow remote monitoring of your vital signs as and when required. This can reduce the need for travel by both the patient and care provider. This information is provided to raise awareness of the existence of telehealth products. For advice regarding telehealth products you should consult your doctor and other health care professionals and equipment providers involved in your care. 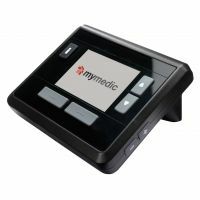 Note that the term telehealthcare may also be used as an umbrella term for telecare and telehealth devices as this emphasises the potential for these equipment ranges to be interconnected as part of the same system.